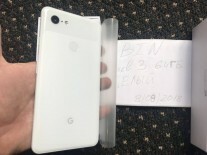 While the suspected launch date of the new Pixels is in early October, the Google Pixel 3 XL appears quite ready in this video that surfaced much earlier than it should have. It shows the retail box being opened and the supplied accessories. 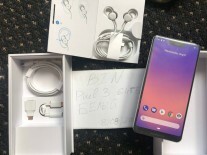 We were surprised to see a pair of headphones included in the box (the Pixel 2 XL got none). They look nice too. Additional accessories include a USB-C to 3.5mm adapter (the included headphones are USB-C), a USB-C to USB-C cable and a USB-C to USB-A adapter, plus the Power Delivery charger, of course. Unfortunately, the video doesn’t include shots of the phone in action. We do have photos of it, however. 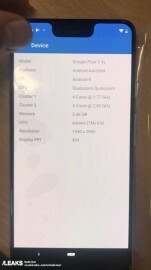 They don’t show anything unexpected – the Pixel 3 XL has a 1440p+ display (with a notch), is powered by a Snapdragon 845 chipset with 4GB of RAM and runs Android 9 Pie. And it has a single camera on the back. 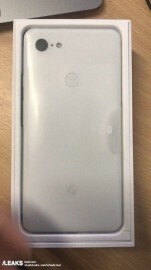 It’s nice to see Google include headphones in the retail package, Pixel phones aren’t exactly cheap. 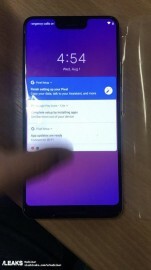 But does the notch feel a bit tall to anyone else? 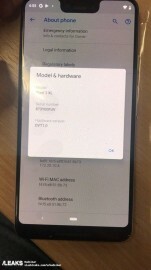 Who asamblate this phone ? 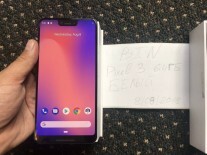 HTC or LG ?